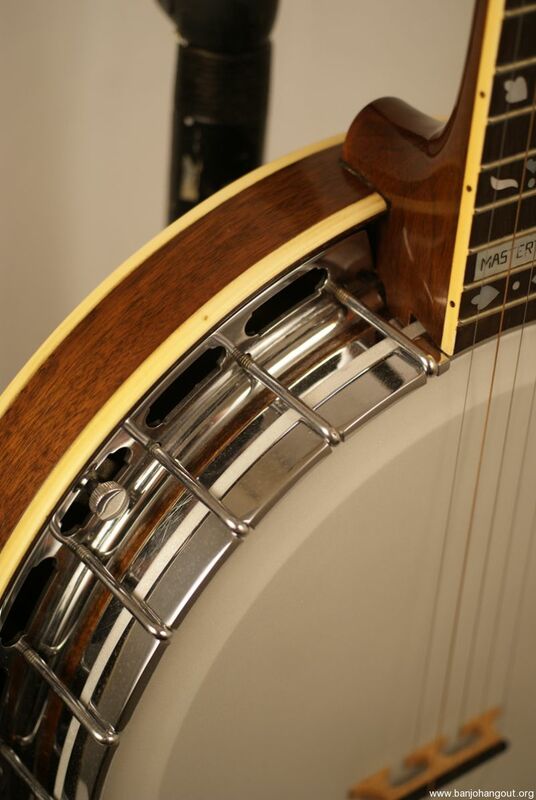 This is a walnut banjo with chrome hardware. The neck is also walnut and has a rosewood fretboard. The neck maker is unknown but this is a professional neck. 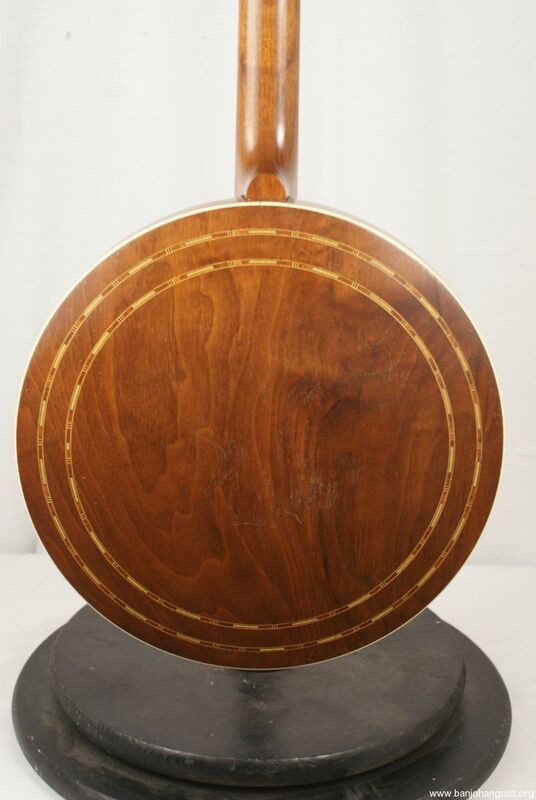 The tailpiece is an original clam shell tailpiece. Everything on the pot is original. Original archtop tone ring. The fretboard has a Hearts and Flowers inlay. 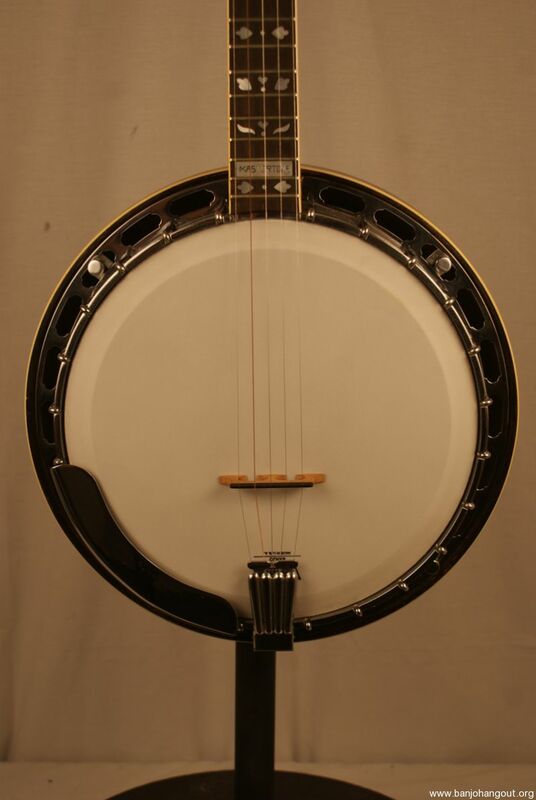 There is white binding on each side of the neck and the resonator. 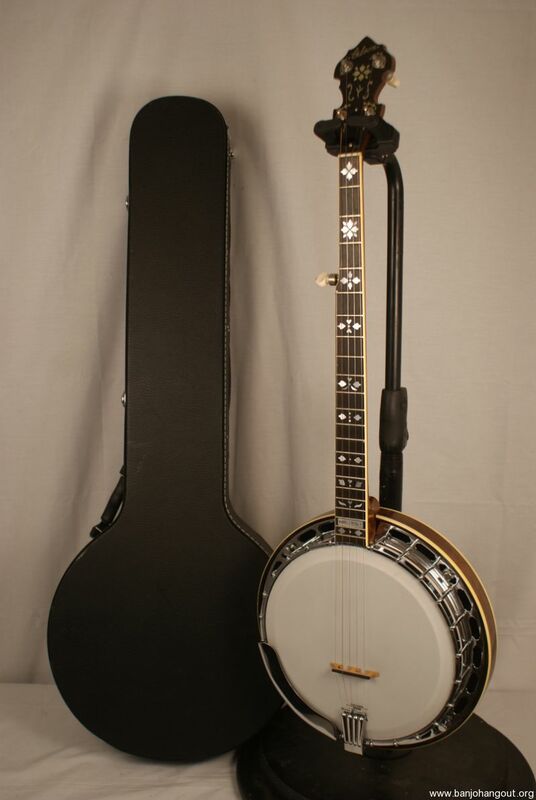 This also includes the original tenor neck which has the original tuning keys. This is an absolutely gorgeous pre war 4 conversion with all original parts on the pot. This also includes a hardshell case which is clean. This is one of the most stunning 4’s that have come through here. Everything about this is clean. The original chrome hardware is glowing. The flange is flat. The wood looks incredible. The original finish is also glowing. The neck is clean as well. Plus the neck is straight and this is set up for great playing. The banjo is LOUD. This is set up to sound great, play great and it looks fantastic. The original archtop ring is in great shape as well as the head. The frets are in great shape but there is some wear on the first few frets. There is no playing issues, no fretbuzz. There are spikes in the 7th,9th and 10th frets. This is in great all original condition. 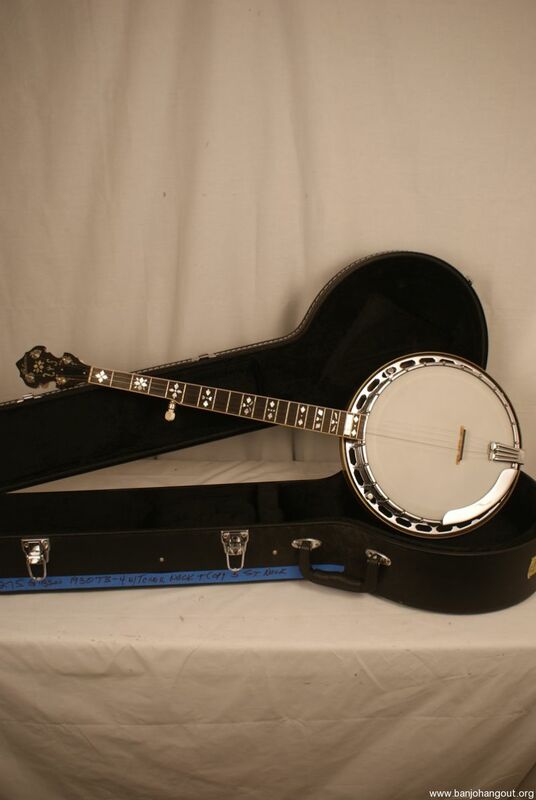 The banjo is professionally set up and guarantee to please. Additional return policy details: Buyer is responsible for all shipping charges in the event of a return. We offer free shipping but initial shipping will be deducted from refund if a return is made. This ad will automatically expire 3/19/2019 2:45:58 PM unless updated before that date. To keep the system current, ads expire if not updated for more than 60 days.